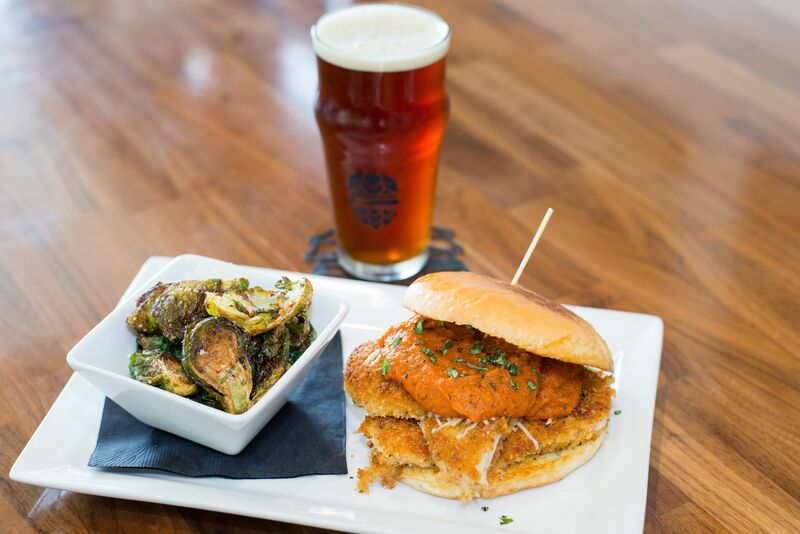 Located in the heart of the downtown district of New Braunfels, Muck & Fuss is a craft beer and burger restaurant with a unique, chef-inspired menu. We pride ourselves on cooking with creative, fresh ingredients that result in dishes that everyone can enjoy. 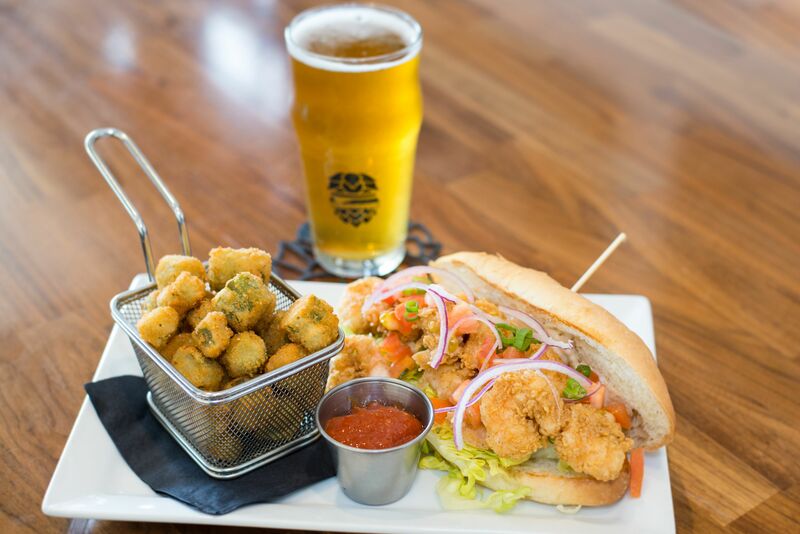 Fried shrimp served on a hogie roll with Chipotle mayo, shredded lettuce, diced tomatoes, and shaved onions. Served with a side of housemade cocktail sauce and cajun spiced fried okra. Created by Michael Bellamy. Beer Pairing: Ranger Creek San Antonio Lager. 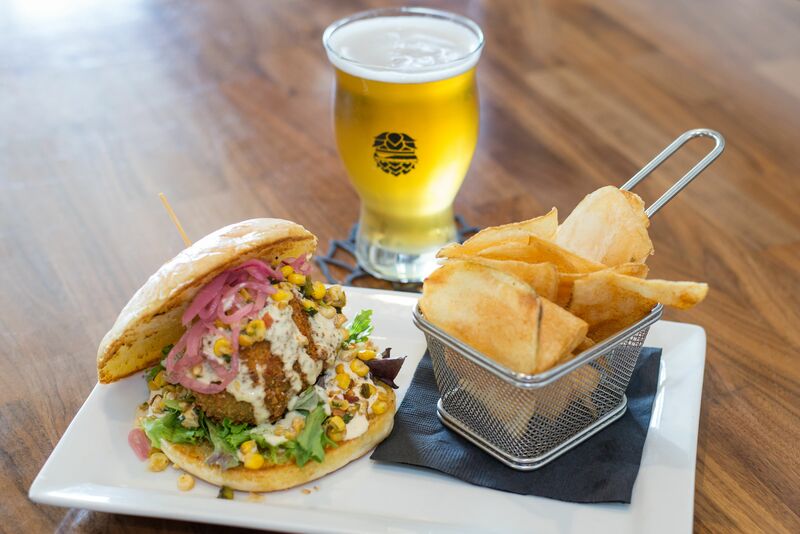 A panko crusted fried avocado stuffed with pimento cheese served on our Naegelin's bun topped with corn salsa, spring mix, southwest ranch and pickled red onion. Served with a basket of fresh potato chips. Created by Johnny Ramirez. Beer Pairing: Real Ale Wall Ball IPL. Crispy pan seared breaded chicken breast topped with housemade marinara sauce. Served with a side of flash fried fresh brussel sprouts that are tossed in salt, pepper, and freshly grated parmesan cheese. Created by Jared Ortego. Beer Pairing: Shannon Brewing Irish Red. 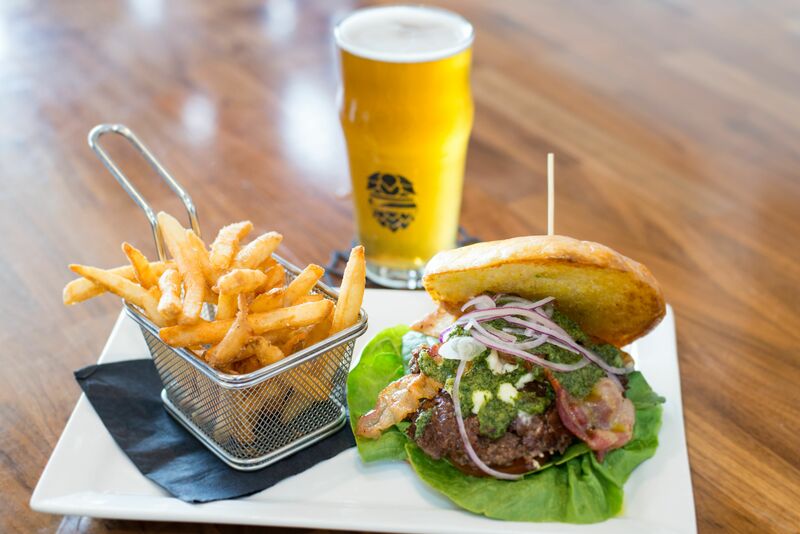 Grilled ground lamb served on our Naegelin's bun, with butter lettuce, tomato, feta cheese, bacon, housemade mint chimichurri and fries as the side. Created by Michael Bellamy. Beer Pairing: Real Ale Blackberry Gose.